This urban installation was conceived for 12 different public sites of the City of Berlin during the time of its major urban plan remodelling, five years after the Berlin Wall collapse. While documenting the urban installations, these 12 images also certify their existence photographically. The pictures are the result of digital processing, post-production and juxtaposition of two different realities connected to each other: the architectural spaces of the city and the genocide of the Jewish people deliberately conceived in this city, of which these Stations actualize and process memory, presence and horror. 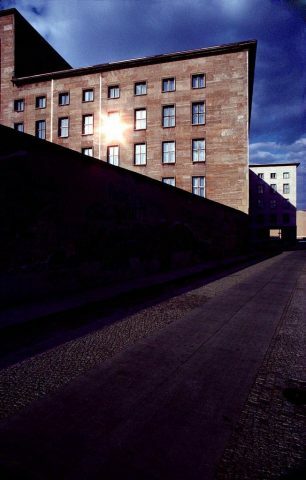 Although not all of the original photographs represent Berlin, all the decisions and commands regarding the Shoah related event depicted by the photographs were taken here; all the original photographs of the Shoah were found by the artist in Berlin archives and museums. If the installations had actually taken place, as originally envisioned by the artist and not only in the virtual form as eventually occurred, this photographic documentation would represent faithfully how they appeared in the places depicted: the images would be their incontrovertible evidence. 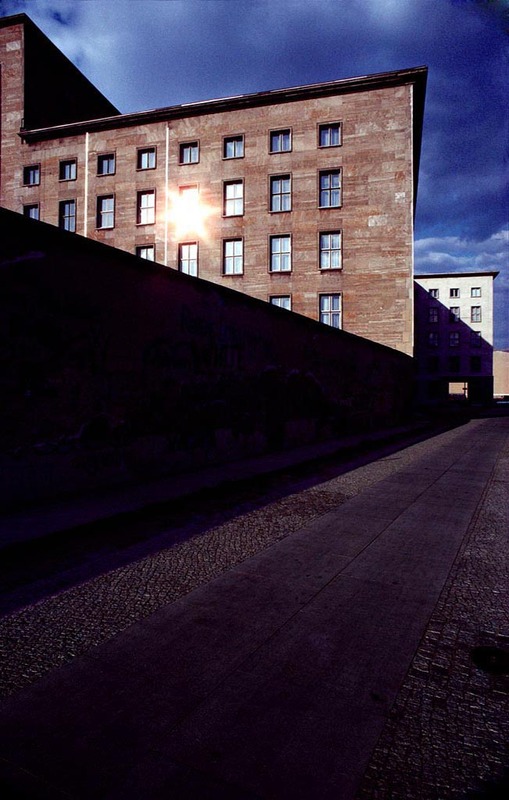 Berlin Station consists of actual photographs of fictitious events, a second order of reality whose symbolic value emanates from their representation.